ESPN Major League Baseball broadcasters are listed below, including games broadcast only on ESPN currently and formerly. Note: Between 1990-2005, the Wednesday night telecast appeared as a doubleheader. 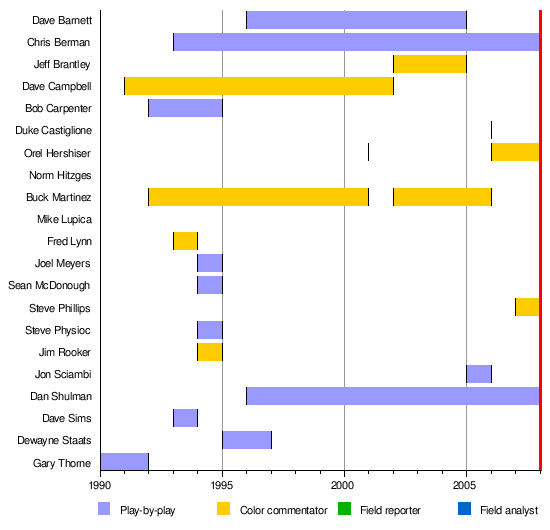 That is why there are multiple play-by-play commentators and analysts listed from those years.